Let’s say you started here. A frail chronically sick kid. Continuous coughs, frequent colds, bouts of fevers, diarrhea. Asthma so bad, at times your family fears it’ll be fatal. Sometimes it feels like you’re being suffocated with a pillow pushed over your face. Then, when you’re around twelve years old, a doctor advises your parents that getting fresh air and exercise would be good for you, as physical conditioning will help strengthen your weak and damaged lungs. You’re twelve years old. What plans would you make? What course would you maintain? A roadmap for business growth and product development is an essential part of today’s world. It’s basically a plan for how and when the short-term goals will be accomplished, how these align and fit with the longer-term objectives. Of course it’s not expected that completing a roadmap will result in an exact forecast of future events or an immutable blueprint, but it is nonetheless an important exercise in planning a successful way forward. Where a business is concerned, the roadmap considers how the guiding strategies may evolve to meet anticipated market changes, or what business development efforts should be pursued to maintain competitiveness and grow. Where product development is concerned, the roadmap provides the plan as to how the offering will evolve, segment into new markets and expand with line extensions. It represents the thinking towards future success, and anticipates a changing environment – whether those changes are: economic, political, competitive, technological or social. Simply, a roadmap is a plan to get from point A to point B. It’s real-world stuff, so of course the roadmap should be regularly revisited and revised as necessary. A roadmap is what allowed Wal-Mart to go from one store and several employees in 1962, to over 11,000 stores and 2.3 million employees in 2015. A roadmap is what Amazon founder Jeff Bezos and the leadership team use to guide the focus on better serving customers, expanding into new products and increasing operational efficiencies. Amazon began in 1995 as an e-commerce company selling books. There was a bell in the office that would ring whenever they got an order. It was removed after just a few weeks because it was ringing continuously. Today Amazon accounts for over 40% of all online sales, uses 45,000 robots across their fulfillment centers and sells what seems like – EVERYTHING! No company or product should be without a roadmap that considers the big picture, the growth strategy, the initiatives to meet market demands, the plans for product capabilities and how to add greater value to its customers. But, what about you? What’s your roadmap? And so young Teddy began a disciplined and consistent daily effort of engaging in strenuous physical activity every day. He would exercise daily in the gym, and go for long hikes in the mountains. He took up weight lifting and boxing. Similar to a business or product roadmap, Roosevelt took himself on a journey of growth and improvement. 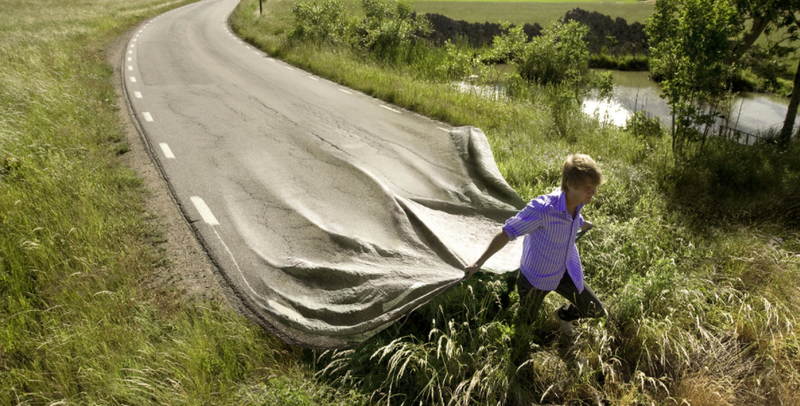 And as with any roadmap, it was replete with revisions, setbacks and difficulties. While there aren’t many organizations today that operate their business or product lines without a roadmap, my guess is the majority of people forego having one for themselves. Nobody would suggest a product roadmap guarantees success (or that your likeness will be carved onto Mount Rushmore), but it is a useful guide in charting your course. Book a free, no-obligation, 30 minute call with Tom. 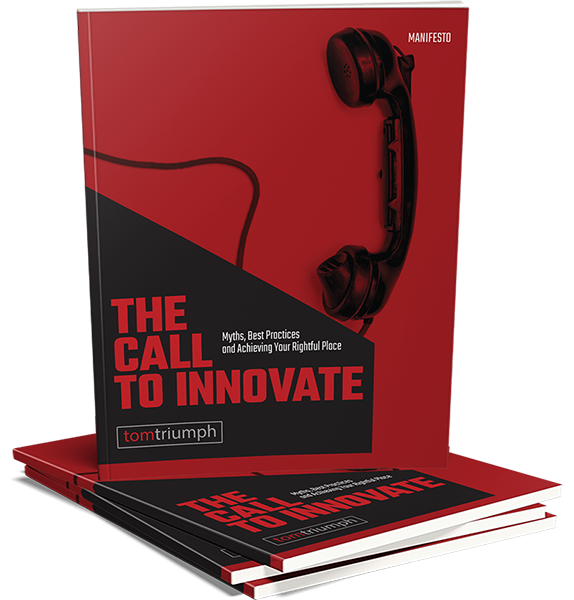 Sign-up to receive Tom's "Call to Innovate" eBook for free. Connect with Tom on LinkedIn to build strategic relationships. Join Tom on Twitter for inspirational and innovative ideas.